The Romanian government adopted in its Thursday, February 15, meeting two important bills for the Romanian Army’s endowment. One of them refers to the purchase of HIMARS missiles while the second one targets the conclusion of a framework agreement for corvettes built and equipped at a Romanian shipyard. 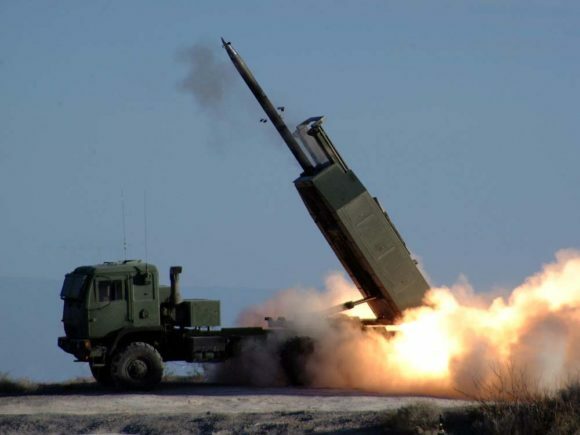 The bill on the acquisition of HIMARS missiles provides that the Romanian government will award to the US government the contracts for the purchase of 3 systems with 18 launching facilities each, including, but not limited to ammunition, control command elements, sensors, logistic support, maintenance, cryptographic and special equipment as well as training of staff at all levels, according to a press release from the Romanian Ministry of Defense. The endowment with the HIMARS systems is the second government-to-government agreement between Romania and the US, after the acquisition of the Patriot missile systems in November 2017. The US Congress approved in September 2017 the sale of HIMARS missile systems to Romania. The High Mobility Artillery Rocket System (HIMARS) is a light multiple rocket launcher mounted on a standard army truck frame. The systems are produced by Lockheed Martin and BAE Systems. Romania also plans to buy four multirole corvettes for the Navy. The corvettes will be built at a local shipyard.